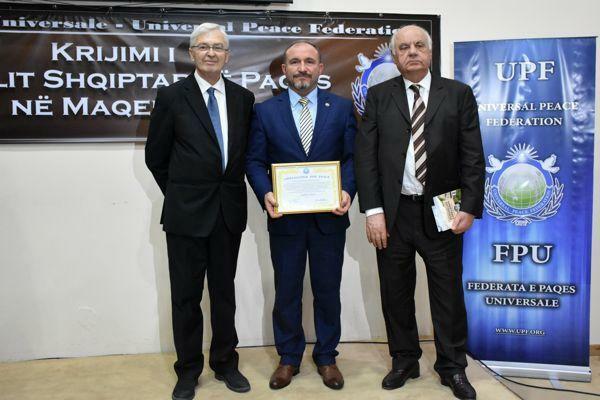 Rector of the University of Tetova, Prof. Dr. Vullnet Ameti was declared Ambassador of Peace from the Universal Peace Federation of Albania. 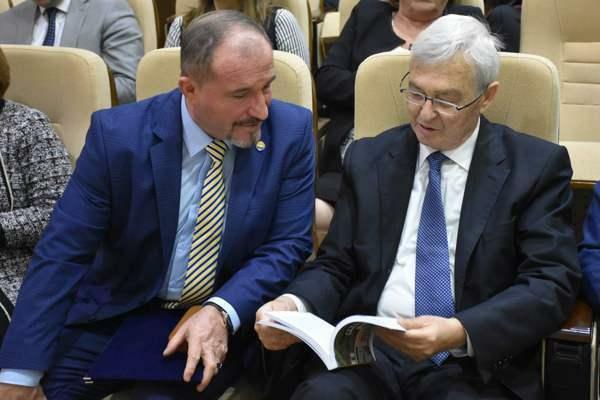 This title, Rector Prof. Dr. Vullnet Ameti, accepted on the occasion of the founding of Albanian Peace Council in Macedonia. After receiving this award, Prof. Vullnet Ameti, said that the expansion of the activity of Peace Council in Albanian lands confirms the will of our nation that we have always embraced the progressive ideas, the development of the country, advancement of democratic processes, the overall prosperity and that over the years we have worked to keep the peace and stability of the country and the region in general. “Our history proves that the Albanian nation, as one of the oldest nations of the peninsula we live in, has continually served peace, civilization and progress, always guided by pro-European and Western ideas. Our common contribution in function of the strengthening of peace and stability is the most precious favor we can do to Albanians elsewhere, is the best investment for the present and future of our children and for the future of generations to come. 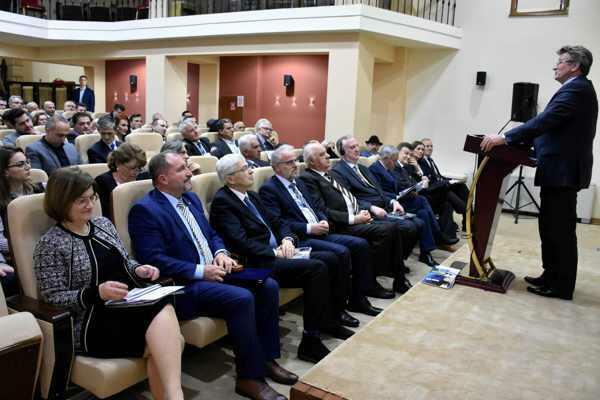 In this regard, University of Tetova has been consistently engaged to cultivate the culture of understanding among people, to sensitize the opinion with the risks that occasionally threaten our country and the region. From our studies, it follows that, in the 21st century, well-known thinkers have predicted as a century of great clashes in which peace, prosperity and global security feel endangered, so we as carriers of educational, religious, cultural institutions, and other, we must work together to strengthen the cultural diversity, as a virtue of interethnic harmony and religious and neighborly coexistence. As a university, we have set for discussion all concerns and challenges in various panels, public debates, symposia and scientific conferences” – said Prof. Dr. Vullnet Ameti. He also pointed out that led by the universal principle, living for the sake of others and that governance in democracy is a mission and not a privilege, we as a university, years ago, together with the Northern Illinois University from the United States, have opened the Center for Peace and Transcultural Communication, which aims advancing of peace, conflict management and intercultural understanding, application of a neutral academic platform, which is based on encouraging the variety of discussions in order to achieve peace through the education model. “University of Tetova has carried out an excellent cooperation with the University of Vienna and the University of Innsbruck, by organizing the International Scientific Conference “Religion and Violence”, in which scientists, representatives of various entities and religious representatives conveyed the message of peace, understanding and development. Aware of the mission and duties that we have as leaders of the University of Tetova, the most important educational and scientific center of Albanians in the Republic of Macedonia, in 2016, in the year of the sanctification of Mother Teresa, we organized the Scientific Conference titled: “Life, deeds and humanity of Saint Mother Teresa” the Albanian Nobel Prize winner and saint, the greatest humanist world has ever known. Although a small nation, but with global representatives and personalities, such as Ismail Kadare, Mother Teresa, Gjergj Kastriot Skanderbeg and others, thanks to their humanistic and peaceful mission, Albanians have managed to attract the attention of the great European countries, the United States and other Western states. 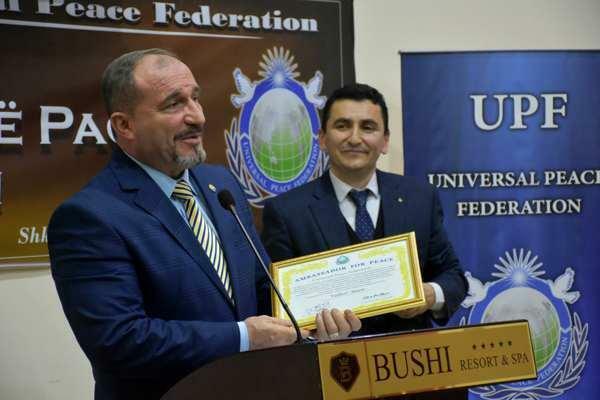 I want to thank you heartily and to express my gratitude to the leaders of the Council for appointing me the Ambassador of Peace, a highly valued appreciation which I share and dedicate to the students, professors, other employees and countless friends of the University of Tetova”, said among others the Rector of UT, Prof. Dr. Vullnet Ameti. 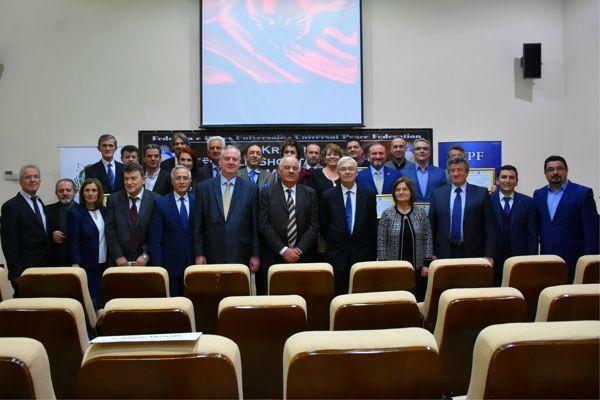 Otherwise, on January 29, 2018, the Albanian Peace Council in Macedonia was founded in Skopje, and on this occasion some Albanian personalities joined the family of Ambassadors of Peace. This title is awarded by the Universal Peace Federation and is given to individuals who are dedicated to the promotion of universal values. At the foundation of this Council also presnt were the former Presidents of the Republic of Albania, Alfred Moisiu and Rexhep Meidani, President of Peace Federation for Eastern Europe, Jack Corley, former President of the Assembly of the Republic of Kosovo, Jakup Krasniqi and many other personalities from Albania, Kosovo, Macedonia, Montenegro and the Preshevo Valley. The Universal Peace Federation is a global network of individuals and organizations dedicated to world peace building based on universal moral and spiritual values. So far, there are over 100,000 Peace Ambassadors in the world, while in Albania and Kosovo are appointed around 1500 ambassadors. Peace ambassadors come from political, academic, religious, civil society and similar areas.